Whilst Christmas feels like a distant memory to many of us, we would like to say thank you to those people who helped to make the Village look festive over the Christmas period. Thank you to Woods Farm for supplying and delivering the Christmas Tree at the Junction of Lowbrook and Norton Lane, thank you to Margaret and Roger Ballard for allowing us to light their holly tree and finally thank you to Peter Seddon for his help with lighting the trees. Like many areas litter is a real issue in Tidbury Green. Not only is it unsightly, but it can attract unwanted pests, which can create health hazards and litter can be dangerous for birds and animals. The Parish Council work in partnership with Solihull MBC to arrange regular litter picks and removal of rubbish caused by Fly Tippers. However with restricted resource there is only so much that can be achieved. There are parishioners that are regularly seen picking up litter, and these people make a real difference and the Parish Council are very grateful to them. We understand that it is very annoying when people discard rubbish and we all have that thought of why should I clean up after them?, however if everyone followed this approach our village would have a much worse litter issue. So whatever you can do to help, however small will make a difference and help to keep the area looking clean and tidy, having a positive impact on the community. One Parishioner that is noted for her ongoing efforts with litter picking is Pam Cole. Pam has worked hard and remained committed to picking litter in the village for almost 2 decades. 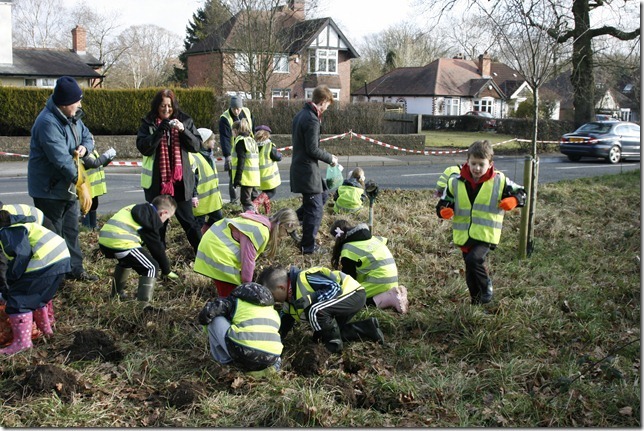 This has had such a positive contribution to making Tidbury Green a cleaner and tidier place to live. The Parish Council invited Pam to our December 2015 meeting and in recognition for her ongoing efforts and commitment thanked her and presented her with some M&S vouchers. Once again Many Thanks Pam. The Parish Council reviewed the consultation document and provided a detailed response. The completed questionnaire, letter and supporting documents can be found on this website. Thank you to all parishioners who supported us and wrote to Solihull MBC with their views. For a number of years the Social Committee have given up their time free of charge and worked immensely hard to organise and deliver some fabulous social events for the benefit of Tidbury Green Parishioners. 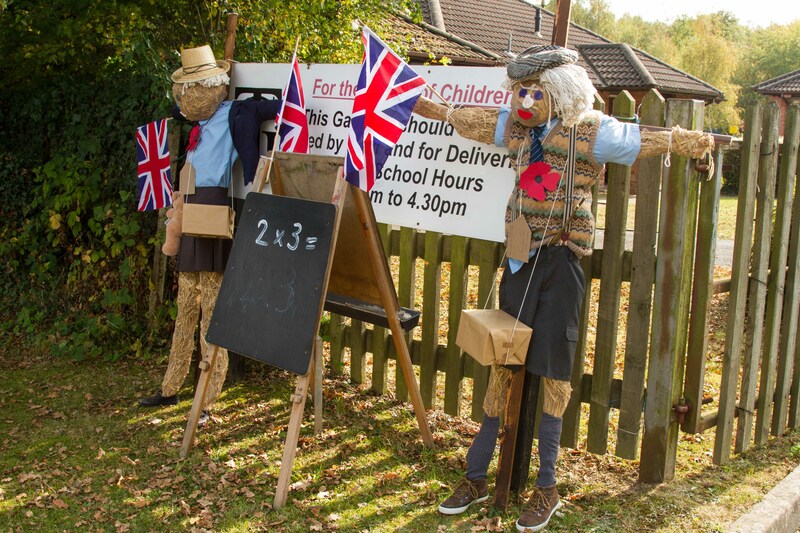 As mentioned the Annual Scarecrow Competition has grown in popularity year on year, yet again the 2015 Barn Dance Supper evening was a great success where fun was had by all and for the first year in 2015 a Christmas Carol Concert in association with Tidbury Green School was organised. This was a sell-out event which received excellent feedback from those who attended. The Social events have such a positive impact bringing people together and helping to build a strong community spirit. Also the Social Committee use a number of events to raise money for charity. Most recently a Cheque for £250 has been sent to Edwards Trust from the events and collections from last year. The Parish Council would therefore like to say a massive thank you to all those who are part of the Tidbury Green Social Committee. All your hard work is really appreciated and events organised are very much enjoyed. The 2015 theme was “Strictly comes to Tidbury Green” Like last year, the 2015 event included a children’s painting competition. Prizes were awarded to 3 agreed age category winners. The event also saw the introduction of the Tidbury Green Great Bake Off. The day included an afternoon social event, where refreshments were provided and all entries to the painting competition were displayed and cakes tasted and judged. There was an excellent turn out and it provided a good opportunity for neighbours to meet new people. There was a great atmosphere and this is an excellent example of the community spirit in the village. The popularity of this annual village event continued to grow with a record 20 entries. These were marked by 3 judges. Congratulations to the winners. Thank you to everyone that entered the competitions of the day including the Cake baking and children’s painting and well done to all the winners. As always a massive thank you goes to the Social Committee, who work so hard to make these enjoyable events happen. Second place - Mr Farr of Lowbrook Lane with another portrayal of the strictly judges, but in post celebration disarray. Third place - Mrs Boulter of Lady Lane with an elegantly dressed couple dancing.